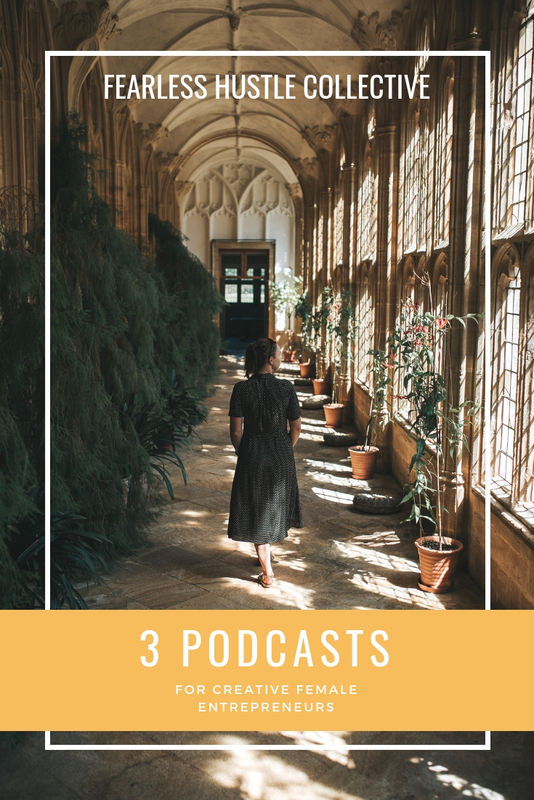 It’s no secret that I’m a huge podcast fan - in fact a lot of the conversation over on our Fearless Hustle Facebook group is about podcast recommendations. I just love a good podcast, especially on long journeys or when I’m out running. Grow with Soul by Kayte Ferris - a podcast all about slow marketing and marketing the ‘feel good’ way, not the salesy type that everyone hates. The podcast offers a mixture of coaching and solo episodes, as well as interviews with other female business owners. Courage & Spice by Sas Petherick - Sas is a self-doubt coach. Self-doubt is something we all suffer from, and small business owners are certainly no different. In fact, when you’re a small business, the likelihood is that you are pouring your heart into your work, making you even more susceptible to doubt, comparison and all that lovely stuff. As well as listening to this wonderful podcast, I highly recommend taking Sas’ self-doubt quiz which will help you to understand where self doubt might come up for you. Hey, you might even learn something new about yourself! You can find it here. Conversations of Inspiration by Holly Tucker - a new podcast, set to be a real goodie! Holly is the founder of Not on the High Street, championing small businesses. She interviews the likes of Julie Deane from the Cambridge Satchel Company and Ella Mills of Deliciously Ella. As the title suggests, the conversations are truly inspirational. The guests have all started their businesses with real passion and purpose, which shines through in their work. If you have any new podcast recommendations, send them my way! I’m always on the look out for new and interesting shows to listen to. And if you haven’t heard it yet, I’d love for you to check out my own podcast - Fearless Hustle Collective podcast, featuring interviews with women that continue to inspire me.